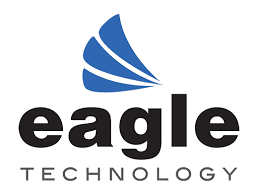 Eagle Technology, Inc. CompuCal’s CMMS partner, is a leader in the development and sale of Computerized Maintenance Management Systems (CMMS) and Enterprise Asset Management (EAM) solutions. With over 10,000 users worldwide, Eagle Technology serves facility maintenance and manufacturing industries since 1986. Their customer base includes high profile landmark buildings and facilities across the world. Their software, Proteus CMMS, helps facilities maintenance operations run smoothly and comfortably with minimum downtime and increased energy savings. It’s a reliable, scalable solution with multi-lingual capabilities that can be tailored made to customer’s needs. Together with Eagle Technology, CompuCal offers a combined version of the two software programs. The aim is to offer a complete and affordable solution in maintenance and calibration management to existing and new customers. CompuCal is Eagle’s partner for Ireland and UK. Are you interested in Proteus CMMS or in the combined Proteus-CompuCal version? Contact us today to discuss about it.